Over the next week or so there may not be too many posts from here … and there is a very good reason. 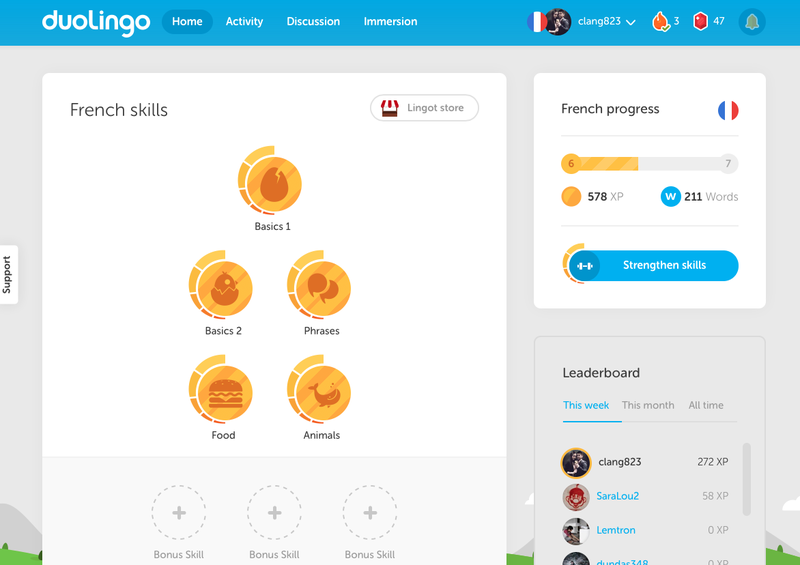 I’ve recently rediscovered Duolingo. If you haven’t checked it out already, and are interested in learning another language I would definitely recommend you check it out. When you enter the site you’ll see something along these lines after you have created a profile and selected the language you want to learn. For English speakers there’s currently Spanish, French, German, Portugese, Italian and they’re still working on more languages. The lessons/activities are well structured and they have built in plenty of revision lessons to “strengthen your skills” so you don’t forget the things you’ve learnt. The iPhone and iPad apps have the basic ability to do all the lessons and progress your skills while the browser based version has more such as discussion forums and a deeper explanation of grammar. Best of all it’s all free. So now that I’ve told you about a language app that is fun and free, what are you all waiting for?